Our successful fight to get back to The Valley is probably what defines us most as a club. It's a hugely important part of our identity and because of the dark years at Selhurst and Upton Park, The Valley and SE7 is extra special to us as fans. This is one of the main things that drew me in to supporting San Lorenzo de Almagro when I lived in Argentina last year (it certainly wasn’t the red and blue shirts…). Their fans have been displaced ever since the Argentine military government forced them from their famous old stadium in the late 70s. They seized the land under the premise of modernising the area, but instead flogged it to the French supermarket Carrefour. Their ugly megastore still lies on the plot of San Lorenzo’s ‘Gasometro’ stadium, once the pride of the neighbourhood and a cherished social hub. The club faced the same humiliation we did, playing at rival clubs like Boca Juniors and River Plate, before constructing a temporary home in a neighbouring ‘barrio’ during the 90s. 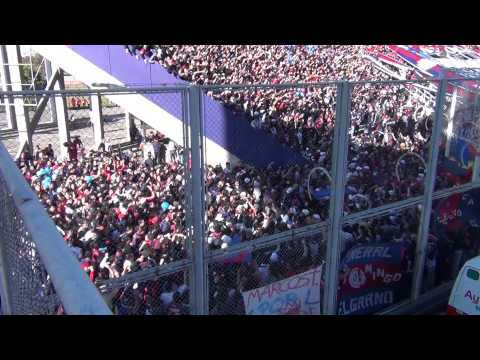 But the new ground is not in San Lorenzo’s home barrio of Boedo, and is instead in one of the ugliest and most dangerous parts of the city, Bajo Flores, which hits home attendances badly. The club’s identity suffers. 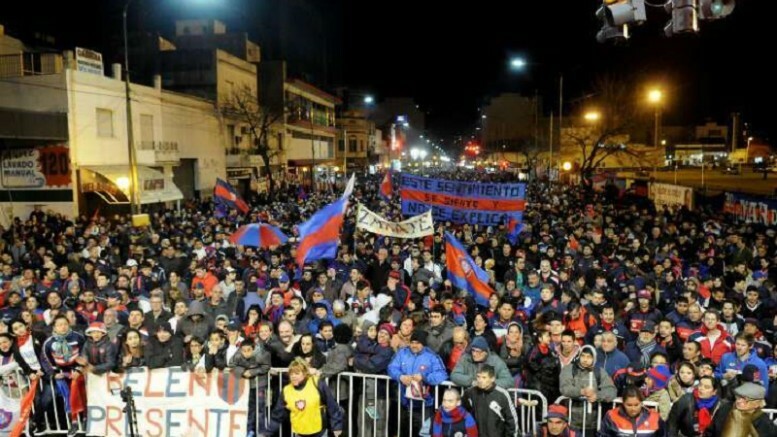 Years of Valley Party-esque struggles from San Lorenzo fans have culminated in winning the right to return to the old site in place of Carrefour, but the move needs paying for. That’s why fans are effectively ‘buying’ their own square metre of the plot by donating money. Each square metre bought by a fan contributes to the dream – the ‘return to Boedo’. 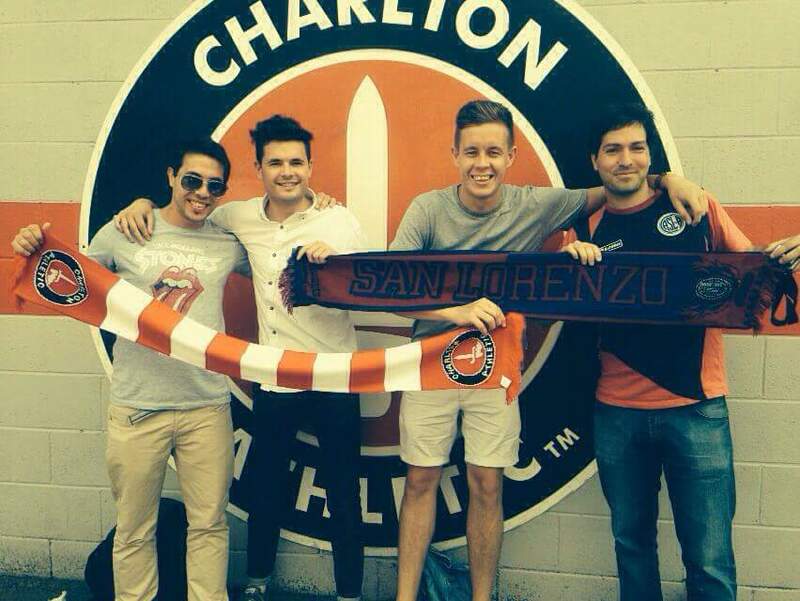 With 35,000m2 to buy it’s a long haul, so an Argentine San Lorenzo friend of mine (of two San Lorenzo - Charlton converts pictured above) , himself a converted Addick having come to The Valley and Derby away already this season, has set up a crowdfunding page where anyone can contribute a small amount that we can then donate to the fundraising effort. Sorry for the long post but massive thanks to anyone who takes an interest or manages to donate. Vamos San Lorenzo. Up The Addicks. If it helps motivate support, here's one example of many San Lorenzo fans online who have declared themselves Addicks - and in this instance, threatened Palace fans in the process. Good form. How much is it per m2 ? It's 2880 pesos, which calculates to about £130 at the moment. Cheap land, but I won't necessarily be expecting Addicks to be lumping in for the full m2! Thanks a lot for the donation PragueAddick, much appreciated. Maybe we'll meet for a beer some time CAFC plays, I'd be happy to get you a beer. Having watched that amazing clip, I had to contribute. Why is the target 1500 pounds? Did you know that the Pope is a San Lorenzo fan? So is this guy https://en.wikipedia.org/wiki/Marcelo_Tinelli who is very famous in Argentina. When the Pope became The Pope, Tinelli went to visit him at the Vatican with some San Lorenzo fans and they all sang football songs to him. This buys roughly 10 m2 so seemed like a nice target. Yep the Pope will even have the new ground named after him if/when we get there. Tinelli is vice-president and may even end up in charge of the AFA after the forthcoming elections. Now I'm San Lorenzo supporter - just like the Pope. Haha. Top work. Mil gracias. Now top of the league - leap-frogged Boca with a famous win in their ground last night. A quite beautiful gift in the 91st minute. I don't think the word "gift" quite does that appalling gaffe justice, but a great story, keep it coming, please. 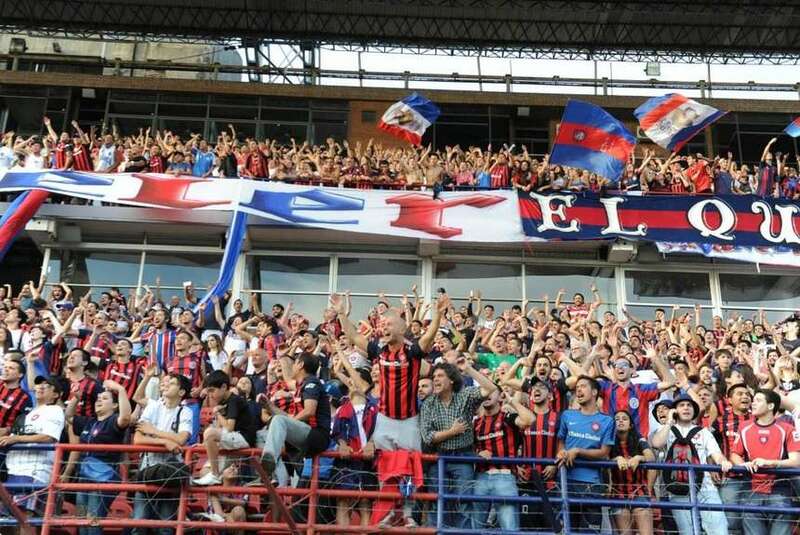 In the month that my friend Eduardo, the San Lorenzo Addick who will be at Selhurst Park on Wednesday, ran this crowdfunder, enough cash was raised to buy 5 additional m2 of the territory. Huge thanks to those who chipped in and took an interest on here, you've helped a great football club get one step closer to emulating what we did in 1992 and return home. Here's a photo from Boedo, Buenos Aires last week - another fan march on the supermarket which occupies the location of the old ground. Meanwhile on the pitch, San Lorenzo are two points leaders Boca Juniors with 5 games to play, but stayed in the hunt with a 2-1 win against local rivals Racing last night. As always, events in the stands were as entertaining as those on the pitch. An update for those who so kindly donated towards this cause, and for anyone who needs reassuring as to the power of collective fan action ahead of the protests against Forest this Saturday. Boosted by the cash pledged from fans in this scheme, San Lorenzo submitted an offer to Carrefour to buy back the land for the stadium. 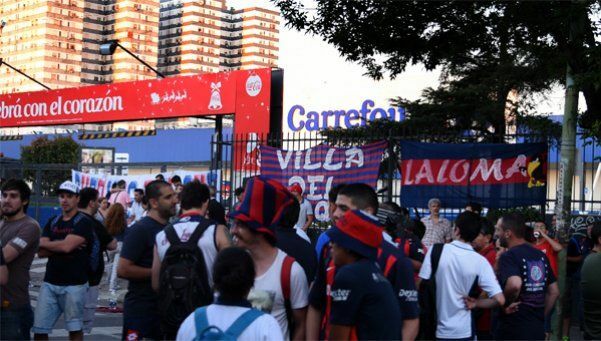 When Carrefour delayed their response despite having had weeks to decide, San Lorenzo fans stepped in. This campaign couldn't be jeopardised by the French supermarket firm again. So they started blocking the entrances to Carrefour branches across Buenos Aires: 15 in total, for nearly a week. So thank you again to the Lifers who recognised the same fan struggle that we went through in the 80s and 90s and donated. The drive to raise cash for the square metres continues so the project stays on track and work can start on the new stadium as quickly as possible. Look what a little fan power can achieve eh? See you outside the West Stand on Saturday. 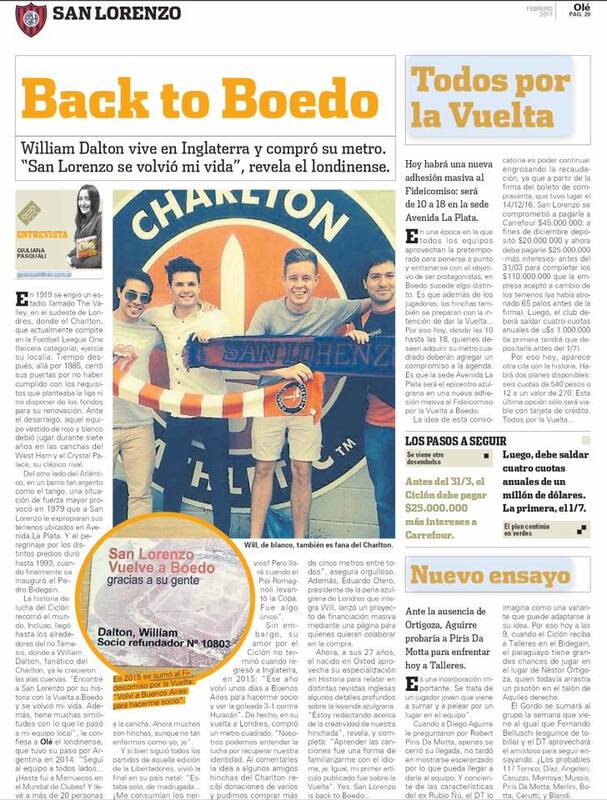 'El Charlton' have been getting some attention in Argentina's most popular football paper as I was interviewed for a piece which came out yesterday: http://www.ole.com.ar/futbol-primera/Back-to-Boedo_0_1744625580.html Great seeing our badge in a paper I used to buy all the time when I lived in Buenos Aires and quite surreal reading about our exile from The Valley in Spanish! It mentions the donations to the above cause which came about through this thread - so thanks again to those that contributed. That's class. Can anyone that speaks Spanish translate? In 1919 a stadium called The Valley was erected in southeastern London, where Charlton, currently competing in the Football League One (third category), was running his home. Some time later, in 1985, it closed its doors due to its failure to comply with the requirements of the league or to not have the funds for its renewal. Before the uprooting, that team dressed in red and white had to play for seven years in the courts of West Ham and Crystal Palace, its classic rival. On the other side of the Atlantic, in a neighborhood as argento as the tango, a situation of force majeure caused in 1979 that San Lorenzo expropriated to him its lands located in Avenue La Plata. And the pilgrimage for the different estates lasted until 1993, when Pedro Bidegain was finally inaugurated. The Cyclone's history of struggle traveled the world. 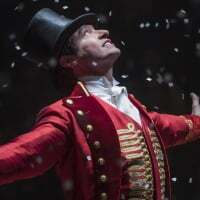 He even reached the outskirts of the River Thames, where William Dalton, a fanatic of the Charlton, grew his wings. 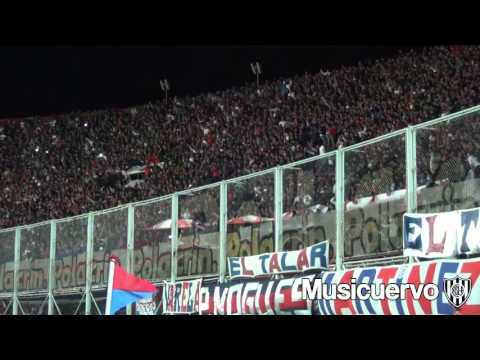 "I found San Lorenzo for its history with the Vuelta a Boedo and it became my life. In addition, it has many similarities with what happened to my local team, "he confides to Olé the Londoner, who had his way through Argentina in 2014:" I followed the team everywhere ... I even went to Morocco in the World Cup Of Clubs! And I took more than 20 people to the court. Now many are fans, though not as sick as I am, hey." And although he followed all the games of that edition of the Liberators, he lived the final in his native country: "I was alone, at dawn ... I was consumed with nerves! But I cried when Pipi Romagnoli lifted the Cup. It was something unique. " However, his love for the Cyclone did not end when he returned to England in 2015: "That year I returned to Buenos Aires for a few days to become a partner and see the 3-1 win against Hurricane." In fact, on his return to London, he bought a square meter. "We can understand the struggle to regain our identity. In commenting on the idea to some friends of the Charlton fans I received donations from several and we were able to buy more than five meters among all, "he says proudly. In addition, Eduardo Otero, president of the Barca club in London integrating Will, launched a massive funding project through a page for those who want to collaborate in the purchase. Now, at the age of 27, the Oxted born takes advantage of his specialization in History to tell in various English magazines some profound details about the Barca legend. "I am writing about the creativity of our fans," he says, adding: "Learning the songs was a way to familiarize myself with the language, hey. Equally, my first published article was about the Vuelta ". Yes, San Lorenzo is back to Boedo"